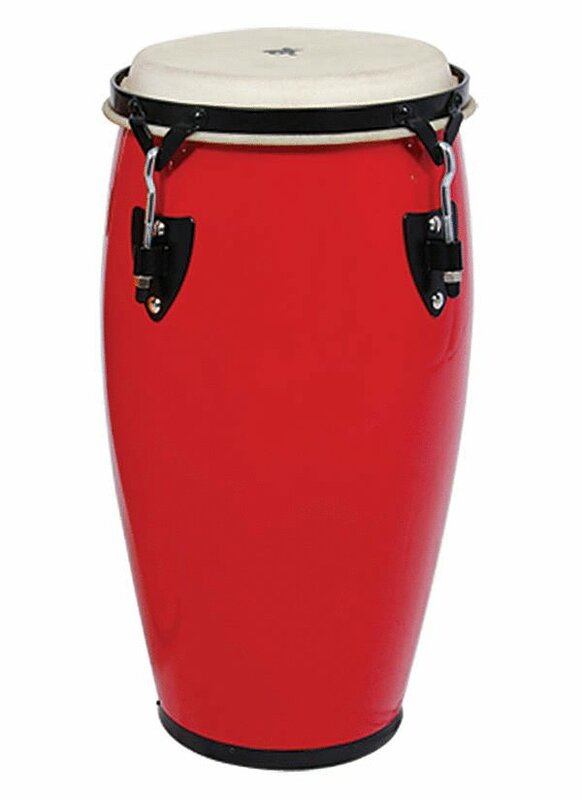 The conga is a tall, narrow, single-headed Cuban drum. Although ultimately derived from African drums made from hollowed logs, the Cuban conga is staved, like a barrel. These drums are thought to have originally been made from salvaged wooden barrels. They are used both in Afro-Caribbean religious music and as the principal instrument in Rumba. Congas are now very common in Latin music, including Salsa music, Merengue music and Reggae, as well as many other forms of popular music today. IQ Plus congas come with a variety of beautiful designs and colors. This instrument is ideal for beginner percussionists. By playing this instrument, they will learn to develop hand-eye coordination as well as applying the same technique using their stronger and weaker hand. Playing congas could be one of many activities that helps relieve stress and express inner emotions. Congas are very popular for classroom use as it is a great teaching tool of basic rhythm, counting and keeping time. Children can practice to play together as a band along with other percussion instruments and develop teamwork skills.